Most church leaders who have facilitated staff, team, or committee brainstorming sessions know that most of these efforts result in more ideas, initiatives, or strategies than you can possibly implement at once. How do you go about deciding which initiatives to undertake first? How do you determine priorities? One of the simplest ways for coming together on an agreed upon list is the dot voting method. Each participant receives a small supply of sticky dots, the number determined by the number of ideas to be prioritized. 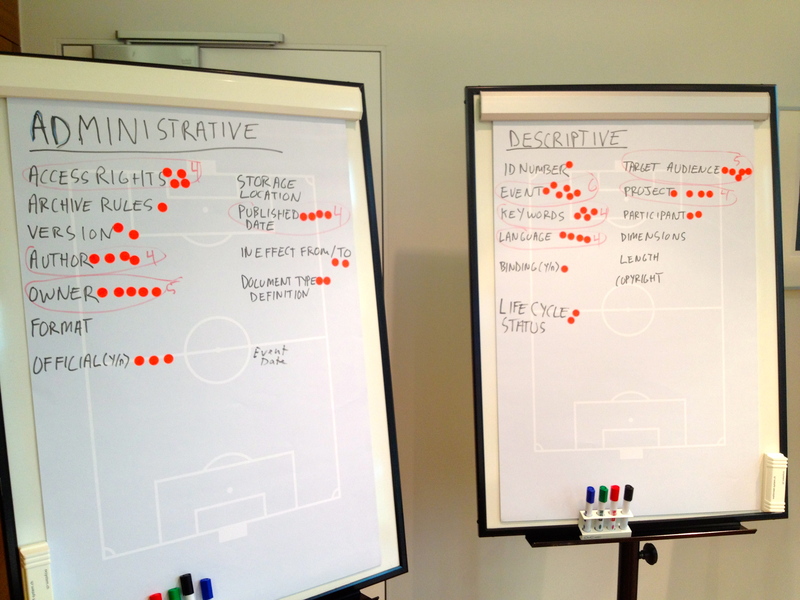 The participants are told to place their dots on those ideas they think most important or should be started on first. The ideas with the most dots are given top priority. After brainstorming is finished and ideas are listed on flip charts or white boards, follow these steps. The level of impact. How will this option improve results or impact key objectives? High, medium, or low? Probability of success. How likely is it that this option will be successfully implemented? Cost-effectiveness. How do the results expected from this initiative compare to the costs and resources required to implement it? Other criteria might include budget constraints, appeal to certain demographics, or a time deadline. Step 2: Controlled Lobbying. Every participant should have an opportunity to explain why particular strategies should be given support. Each participant has 1-2 minutes to indicate which options they think should be given the highest priority and explain “why.” This process gives each person the means for influencing the opinions of others. This process also helps build consensus around particular solutions as participants typically hear repeated support for a limited number of activities. Further, when it comes time for people to sign up to implement the initiative, those who lobbied for a particular item usually feel a sense of responsibility to volunteer to ensure that the initiative gets successfully implemented. Step 3: Dot Vote. Give each participant five dots to cast. Example Instructions: Each of you have received three red dots and two blue dots. The red dots count for three points each, while the blue dots each count for one point. Place the red dots on the three improvements that you believe are most important. Place the blue dots on two other improvements you would like to see implemented as well. You cannot place more than one dot on an item. As you are voting, keep in mind the criteria we decided on. Using different color dots to signify different values, such as green for “like” and red for “dislike” or “go” and “stop.” This allows you to identify those initiatives with opposition. Using different color dots for different types of participants, such as blue for senior leadership and red for staff. Allowing participants to vote more than once for a single item if they feel strongly about it. Distributing a number of dots equal to 20-30% of the total number of initiatives listed. Step 4: Review Results. The dot voting method indicates the level of support for a particular initiative. The score is not necessarily a decision. It is just the result of the analysis and priorities of the group and serves as input to the final decision. In some cases, it may be useful to reflect on initiatives that didn’t receive votes to verify that they haven’t been discarded without cause. It is still the job of the group, or leader, to accept the scores as indicating the final priorities or to make adjustments as necessary. Dot voting is a quick and simple method for prioritizing a long list of options. It allows participants to express a preference for more than one option at the same time. It leverages the collective wisdom of the team, and provides an equal way for all the voices on the team to be heard in prioritizing key decisions. It creates a sense of engagement and allows participants to see the decision process in action and understand how the final decision was made. Keep the number of options to about a dozen or less. Too many can be overwhelming. New options cannot be added once dot voting has started. Avoid similar or related options, as these can cause vote-splitting. This may require you to combine options to be more general and less specific. Monitor the process to ensure no one cheats by adding extra dots, peeling off dots or moving dots. This makes the balloting less secret, but more reliable. To build in confidentiality consider electronic balloting or allowing participants to place dots on unsigned written ballots. Jim Baker has a passion for the local church and a heart for the men and women who lead it. He knows from the practical experience of leading highly effective staff teams that many ministers are not trained or necessarily gifted in organizational leadership. And, more than most Jim understands the negative impact a lack of organization, structure, processes and systems can have on ministers and their churches. Whether you consider Jim to consult, coach, train or speak you will find his insights, wisdom, humor and practical resources can revolutionize your ministry and your church.